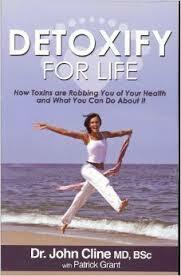 A copy of Detoxify for Life is included with your consult. A female patient presented confounding symptoms to John Cline, MD, including severe vomiting and diarrhea, headaches, night sweats, severe arthralgias and myalgias, episcleritis, and shortness of breath. After visiting a number of doctors, Cline established the cause as exposure to malathion. In this paper, Cline offers valuable advice for nutritional detoxification and treatment protocols that led to a major improvement in his patients health and quality of life.